Blessed with the talents of many gifted musicians, St Peter’s enjoys a variety of music for regular and festival worship services. For many years, our Music Ministries have participated in the Heritage Candle Light Tour in December. From the glorious 34 Rank Reuter pipe organ to handbells and hand chimes, to drums, guitars, and bass, to keyboard and vocals, we appreciate the variety of music and wonderful gifts of our members who participate. 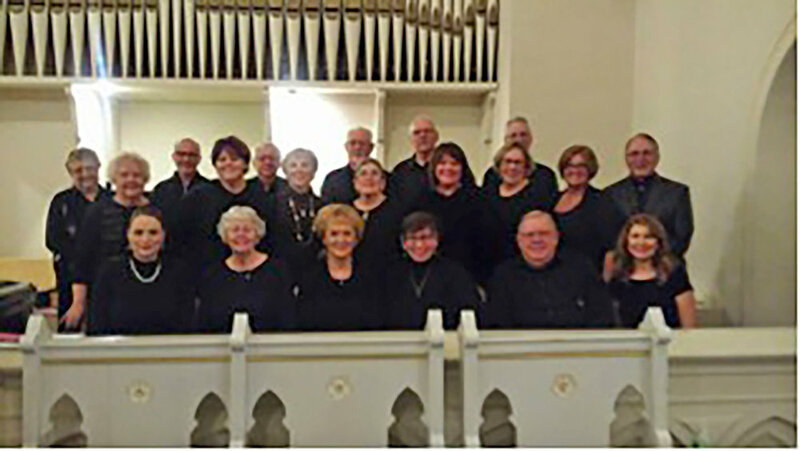 Vocal Choir participates in the 10:30 a.m. worship service with practices on Sunday mornings at 10:00 a.m. before services. Summer schedule varies. B.A.S.I.C. (Brothers And Sisters In Christ) Contemporary Team provides music during the Contemporary Worship currently held on the 2nd Sunday each month, September thru June. The team – vocals, guitars, bass and drums- has also provided music on our front patio during the annual Lancaster Festival Art Walk in the summer and are included along with the Choir and Handbells in the annual Fairfield Heritage Candlelight Tour in December. Children’s Choir – Our younger members enjoy sharing music in worship periodically and many also participate in the Candlelight Tour, sometimes with the BASIC Team. Instrumentalists are always a welcome addition to any worship experience. Special instruments are often used at Festival Services and on other occasions. Contact the church office if you would like to be involved in this way.